Cure your sweet cravings with this deliciously light and refreshing 5 minute Mango White Wine Slushie! An amazing frozen drink perfect for the warm weather. And what do these long, hot summer days call for? Cool and refreshing summer drinks. I make tons of homemade cold treats like smoothies, ice creams, popsicles, and slushies. Wondering what a slushie is? It’s a delicious frozen drink made with crushed ice and flavored with fruit(s). Indeed a light and delightful treat that will cool you down from the summer heat. 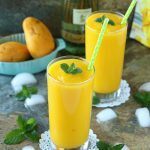 This amazing 5 minute Mango White Wine Slushie is healthy, flavorful and full of fresh fruit taste. All you need is your blender, ice, wine and a frozen fruit. Blend, pour and enjoy your wine slushies – it’s that easy. 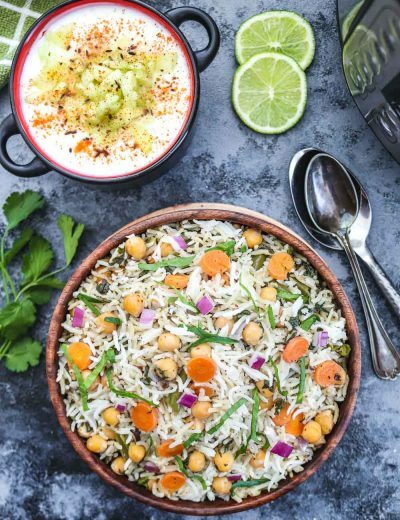 The mangoes I used were naturally sweet so with no added sugar this recipe is a real winner. If the mango is not your kind of fruit, use the fruit of your liking. Other options include – strawberries, peaches, watermelon, blueberries, raspberries to name a few. Or use a blend of fruits to create a tropical slushie. Slushie means a frozen drink flavored with fruit so the secret ingredient is Ice. Skipping that would turn this recipe into a regular cold drink. 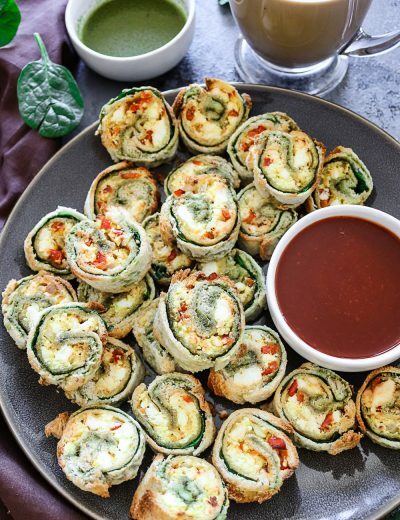 For this recipe, wine is the real thing. It adds a unique flavor! But if you are not a wine lover, substitute wine with sparkling water or any fruit juice. To enjoy the real deal, add enough flavor (fruit and wine). Because once you blend the fruit with ice it will dilute some of its flavors. This slushie can be frozen into molds and enjoyed as a popsicle too! Do give this 5 minute Mango White Wine Slushie a try and share your yum pictures with me on facebook. Would love to see your creation! 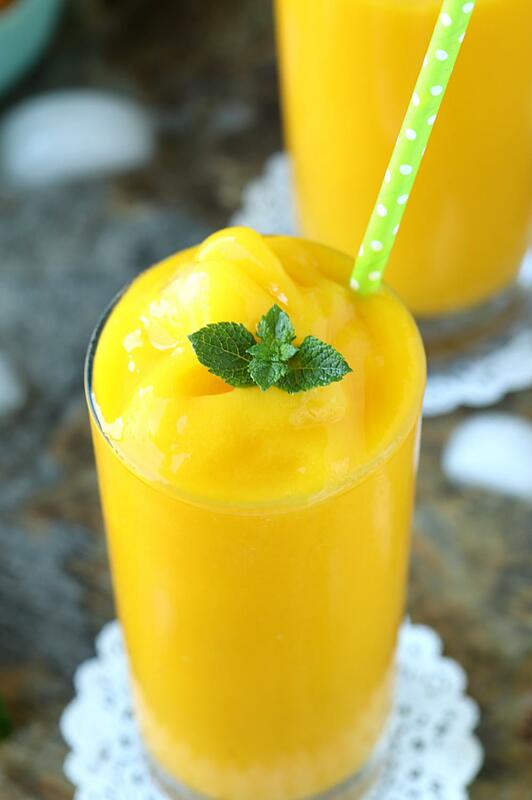 Cure your sweet cravings with this deliciously light and refreshing 5 minute Mango White Wine Slushie ! An amazing frozen drink perfect for the warm weather. Use frozen fruit of your choice. White wine. But if you are not a wine lover, substitute wine with sparkling water or any fruit juice. Ice is the real deal. Skipping this would result into a regular cold drink. Combine ice and frozen fruit in a blender. Blend until smooth. The mangoes I used were naturally sweet so no sugar is added to this recipe. If you find the slushie too bland, you can add a teaspoon of sweetener of your choice. Serve this super refreshing drink immediately, before it starts melting.